While various service industries have been undergoing digital transformation for more than a decade, utilities have been much slower to apply digital capabilities to core processes. But given the increasingly competitive energy market and ever-increasing customer expectations, both public and investor-owned utilities are harnessing the opportunity to discard legacy thinking and systems, and embrace utility digital transformation. At Tacoma Public Utilities (TPU), a citizen-owned utility serving Tacoma and neighboring communities in Washington, we crafted an enterprise digital engagement strategy that serves as our seven-step guide for applying digital utility capabilities to drive operational excellence, enhance the customer experience and boost employee engagement. Our first step involved identifying the key business capabilities and technical solutions that would support our digital future. As shown in Figure 1, this vision revolved around our customers and employees. Within the customer domain, we identified a variety of features that would provide a more engaging customer experience. Likewise, the employee domain consisted of new features that would drive productivity and collaboration opportunities to drive operational excellence. Challenging the status quo of an organization can be difficult, so we appealed to three fundamental business drivers when we made our case for embracing digital transformation. TPU is advancing a capital program to put advanced metering infrastructure (AMI) into operation. This integrated system of smart meters, communication networks and data management systems enable two-way communications between TPU and its customers. 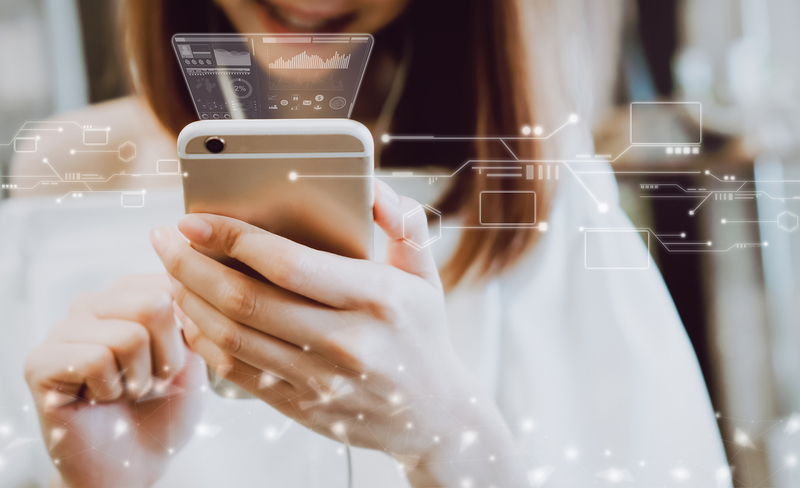 In order to achieve many of the benefits of AMI, such as providing customers greater control over consumption, costs and bills, TPU must first put modernized digital platforms in place to enable customer access to this data via desktop or mobile web browsers. We demonstrated that customer expectations regarding TPU’s digital services are rapidly increasing due to the engaging digital experiences customers have with most service providers: retail, banking, travel services and healthcare. Customers are demanding greater levels of flexibility, convenience and ease of use. The evolving customer landscape is growing more complex with each passing year. In addition to phone access, customers now expect immediate service across chat, email, SMS and social channels. Our case was that by crafting and executing a sound digital engagement strategy, we would significantly enhance TPU’s relationship with customers. Finally, demographic research shows that by 2030, millennials will make up 75 percent of the workforce. Because this generation has grown up leveraging digital technologies, their high expectations around hyper-connectivity and technology will be carried into the workplace. Millennials expect that modern digital tools and capabilities will be available to drive organizational agility and cross-functional cooperation. These include instant messaging platforms, telecommuting opportunities, and digital field workforce systems that replace archaic, paper-based solutions. Overall, by citing these three key business drivers, we were able to make a compelling case to our executive management on how embracing digital transformation through the execution of this strategy would benefit both our customers and employees. 5. Outdated and inflexible web platforms. 5. Outdated internal communications techniques. After articulating TPU’s digital gaps, we began to arrange our requirements for the future in order to understand what success in the digital space might look like. Again, it was important to represent these requirements from a customer and employee perspective, so we expressed them in the form of user stories. User stories are commonly used in agile software development to capture the voice of the customer. Notice how our customer user stories revolved around adding new capabilities and enhancing the customer experience. • I can view mytpu.org, the utility website, in a responsive format, so that I can find information using the device of my choice. • I can engage new content on mytpu.org that I find valuable for my family and me. • I can learn about new conservation products and rebates. • I can have all my interactions connected across channels. • I can engage with bill-related information in an interactive format, so that I can make informed decisions. • I can access a self-service portal through a variety of platforms, including a mobile app, mobile browser and different desktop web browsers. • I can initiate service requests with TPU, so that I save time and engage according to my preferences. • I can specify how I want my electronic bill delivered. • I can engage with TPU via social media channels, such as Facebook and Twitter. • As a TPU office employee, I can collaborate seamlessly with my colleagues via instant messaging. • As a TPU field worker, I have mobile access to maps, data and work management tools that enable me to effectively serve TPU customers. • As a TPU office employee, I can work easily with others using collaboration tools such as wiki, enterprise social media platforms, learning management systems and team productivity tools. • As a TPU office employee, I can easily document my work using an enterprise wiki. • As a prospective TPU employee, I can learn about utility employment on LinkedIn, Glassdoor, YouTube and other channels. • As a TPU employee, I receive engaging internal communications emails that are easy to digest and relevant to my work. 1. 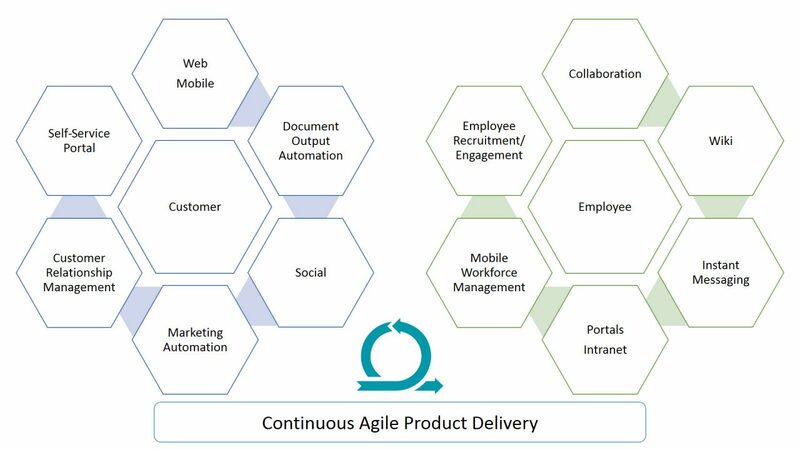 The rise of agile product delivery to spur digital transformation and innovation. 2. Increasing enterprise IT infrastructure and software spending for cloud-based offerings. 3. Self-service portals to enhance the customer/employee search for information. 4. Effectively integrating software applications through flexible services to extend functionality. 5. Organizations providing an outstanding customer experience through seamless multichannel connections. 6. Adoption of social listening and social engagement platforms to enhance the customer experience. As we provided recommendations, we focused not just on digital technology, but also on organizational adjustments and process governance. Breaking down silos between business units and the IT organization is a critical component in realizing the benefits of digital transformation. Our traditional model was to organize IT resources by silos for operational applications support and projects support, but under this approach we found that our delivery was fragmented. Our recommended approach entailed organizing IT staff around digital domains that enabled business capabilities. These domain teams included technical solutions such as websites, mobile applications, marketing automation tools, CRM systems and document output solutions. Within a digital domain team, the members have all the necessary skills and resources to deploy, refine and enhance solutions, in addition to responding to changing needs or fixing bugs. As we considered process governance, we found that our traditional IT delivery governance structures often hindered agility and our ability to respond to change. When approaching a new digital solution, we felt that instead of conducting significant up-front analysis on planning, requirements and design, we would rather define at a higher-level what is to be accomplished and what success looks like. We referred to these light business cases as business value statements, which would outline the key expected business outcomes, estimated cost, business value and strategic necessity. Next, we would target a minimum viable product (MVP) to demonstrate a working solution, allowing the customer to react early in the development process. As the MVP is produced, each successive release generates more confidence that progress is being made. Once the MVP is delivered, we could track the metrics identified in the business outcomes. Also, we’d have the ability to leverage benefits realization frameworks to ensure that the solutions delivered the expected value. • Do customers want and like the product? • Is the product making adequate progress toward its goals? • Is delivering this product still worthwhile giving the current rate of progress? • Should the team pivot to work on something else? • Migrate our static website to a modern content management system. • Redesign our website to fit a responsive design pattern. • Migrate our website to a cloud hosting provider. • Invest in a cloud-based document output automation solution. • Leverage a self-service portal. • Invest in CRM for B2B to enable a 360-degree view of the customer. • Invest in marketing automation. • Invest in digital signage solutions for our campus. • Invest in social listening/social engagement tools. • Invest in mobile workforce management cloud solutions to drive operational excellence. • Deploy Office 365 suite of collaboration tools. • Deploy Skype for Business for instant messaging. 4. Invest in new digital platforms and channels. • A central preferences center. The final step in building a sound digital engagement strategy was to craft a roadmap for the future. Our strategy contained numerous recommendations that would be enabled over the next several years. Slicing the efforts into manageable pieces across workstreams was the key to begin executing on the tactics called out in the strategy. Ultimately, our efforts to drive operational excellence, enhance the customer experience and boost employee engagement is in the very early stages. But by applying this seven-step process, we’ve built a solid strategy and possess a compelling vision for the digital future. Andrew Braeger is a solutions architect at Tacoma Public Utilities, advancing strategic initiatives around digital transformation and analytics. 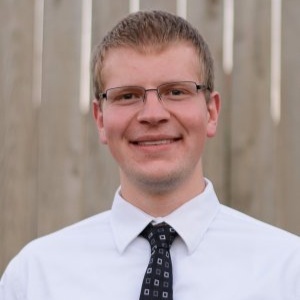 Andrew holds an MBA in IT management from the University of Wisconsin-Whitewater and has earned numerous technical certifications.